This combination of pictures created on November 07, 2016 shows Republican presidential nominee Donald Trump in Sioux City, Iowa on November 6, 2016 and Democratic presidential nominee Hillary Clinton in Detroit, Michigan on November 4, 2016. 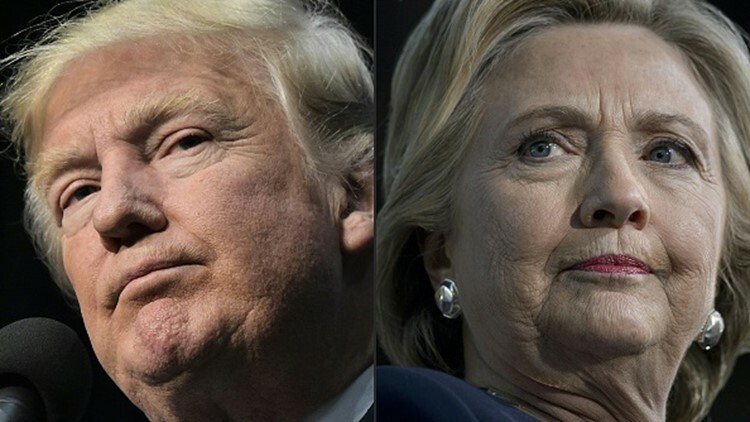 A professor at San Francisco State University found that the presidential election was a 'traumatic experience' for at least 25 percent of young adults. Many were stressed out by the divisive U.S. presidential election in 2016, but a new study says that it may have been more traumatic. The study was led by San Francisco State University professor Melissa Hagan, who found that the election had a “severe impact” on young people, and in some cases, may have even caused symptoms that are most often seen in people who suffer from post-traumatic stress disorder (PTSD). “What we were interested in seeing was, did the election for some people constitute a traumatic experience? And we found that it did for 25 percent of young adults,” Hagan said. More than 750 students that were enrolled in psychology courses at Arizona State University were surveyed in January and February 2017. The students filled out a psychological assessment called the Impact of Event Scale. The scale was used to gauge if these students were impacted by the election in a way that it could possibly lead to diagnosable post-traumatic stress disorder. The 25 percent of young people that were found to have had a traumatic experience showed “clinically significant” levels of stress. These stress levels were comparable to that of mass shooting witnesses seven months after the event. The study impacted certain groups more than others. Race, gender, political affiliation and religion all played larger roles in the results. According to the study, females scored about 45 percent higher than males, and Democrats scored more than two and half times higher than Republicans. Researchers from the study believe that one factor that may have made the election so stressful was the sheer surprise – many were not expecting for Donald Trump to be elected president. They also say that the contentious conversation surrounding the lection maybe have also contributed to the stress.